While still a schoolboy Igor built several models of aircraft and helicopters, as well as bombs. Several years later, when Igor and his father were vacationing in Germany, he learned about the first launches of airships, carried out by Count von Zeppelin. Also he read about the successful flights of the Wright brothers and was amazed that the newspaper reported such a great achievement on the last page. 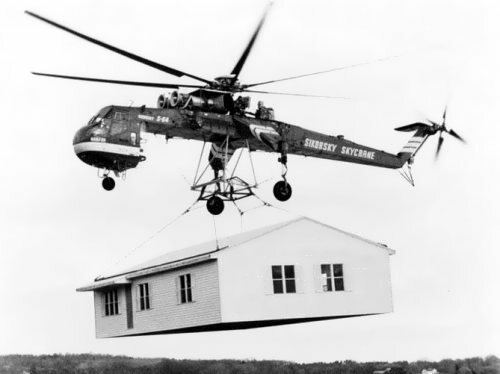 At that moment, Sikorsky decided to devote his life to aviation. 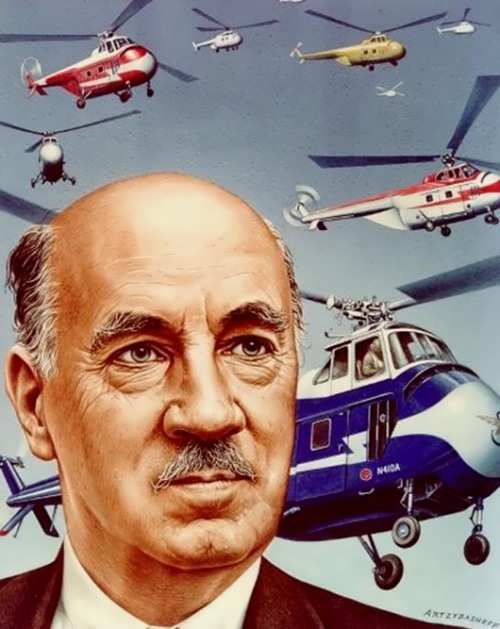 His special purpose was to develop an apparatus capable of hovering over a single point or flying in any desired direction – a helicopter. 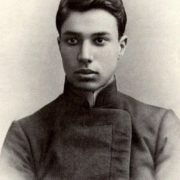 From 1903 to 1906 Igor studied at the St. Petersburg Naval Academy. 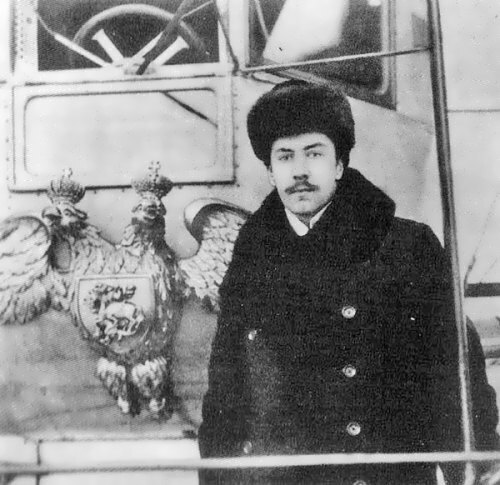 In 1907 Sikorsky entered the Kiev Polytechnic Institute where he became a member of an aero club. 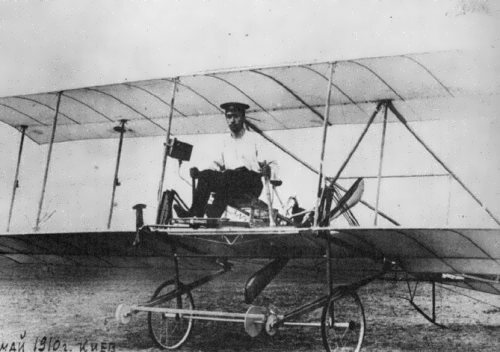 Later, in 1908-1911, he built his first simple helicopters but then he began to construct planes. And in 1911 he became a pilot. 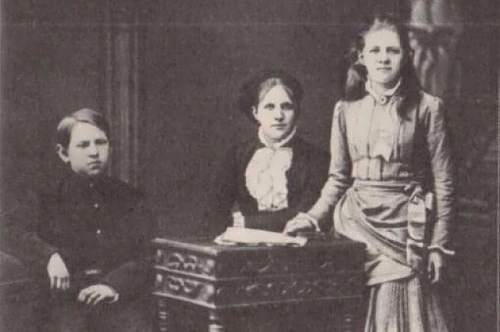 From 1912 to 1917 Igor worked as chief designer in the department of Russian-Baltic carload factory in St. Petersburg. 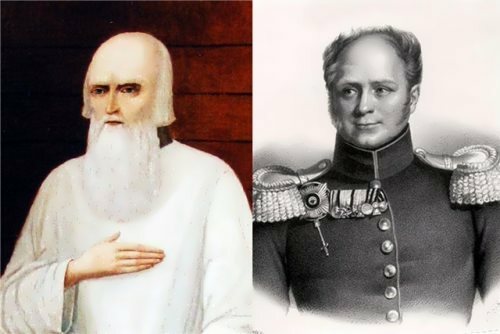 Russian Vityaz and Ilya Muromets were created in 1912-1914. 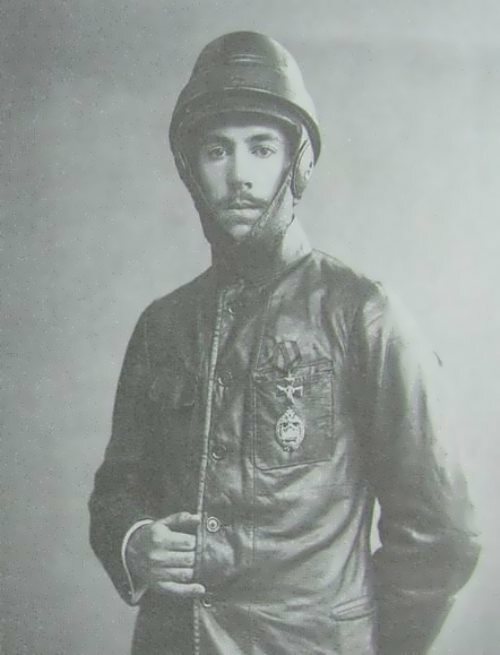 During the First World War Ilya Muromets was transformed into a bomber, which became the basis of the Russian air offensive against the Germans. 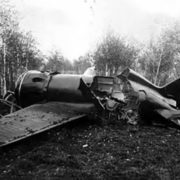 In total, the aircraft participated in more than 400 sorties, and only one was damaged by anti-aircraft fire. You know, on March 27, 1912 Sikorsky managed to set world speed records 111 km h with two passengers on board and 106 km h with five passengers. For two years, Sikorsky’s airplanes won main prizes in the competition of military aircraft. 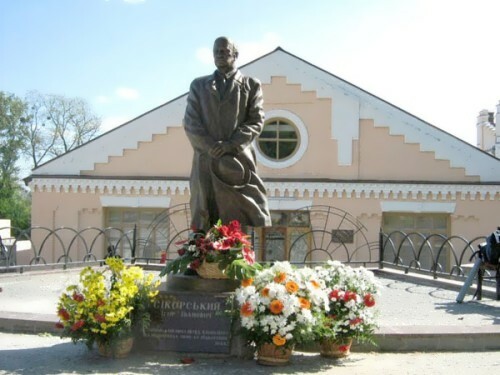 On February 18, 1918 Igor left Russia because of the revolution and went first to London and then to Paris. 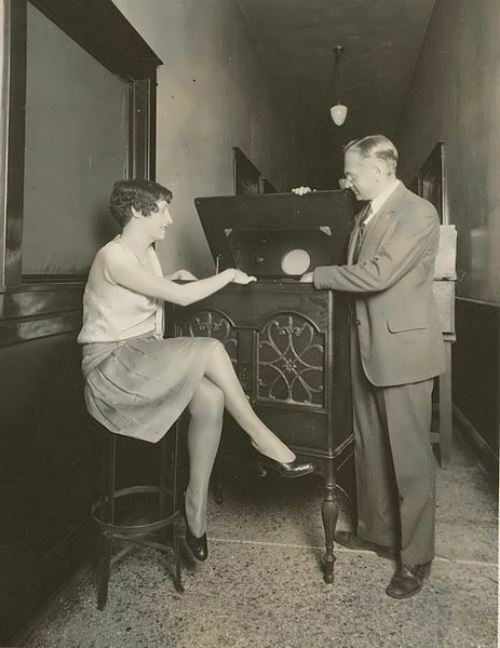 Besides, in March 1919, he emigrated to the United States and worked as a Math teacher in New York. 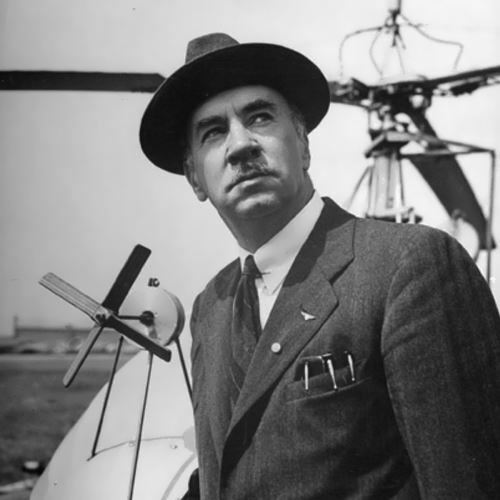 In 1923, he founded an aviation company Sikorsky Aero Engineering Corporation. 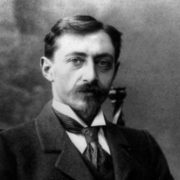 It is known that the prominent Russian composer Sergei Rachmaninoff was personally involved in his enterprise, he was the vice-president. In the early twenty-first century the corporation manufactured helicopters for sale around the world. Continually designing aircraft, Sikorsky received many other patents, including patents for helicopter control and stability systems. In the 1930s, he designed and manufactured a series of large passenger-carrying flying boats that pioneered the transoceanic commercial air routes in the Caribbean and Pacific. 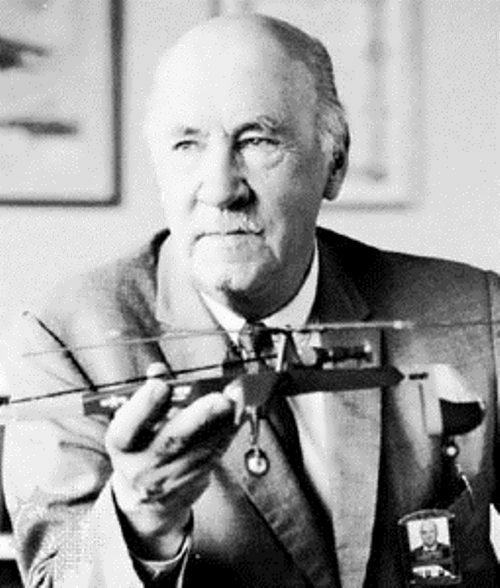 In 1939, Sikorsky finally realized the goal of his whole life, having developed the first real helicopter. It was a challenge that required all of his intelligence, energy and love of flight. The helicopter was the personal goal of the aircraft designer for three decades. By September it was ready for the first tests. In 1941 Sikorsky set the first record of the duration of the flight – 1 hour 5 minutes and 14 seconds. Two days later the helicopter equipped with floats could already start on land as well as on water. 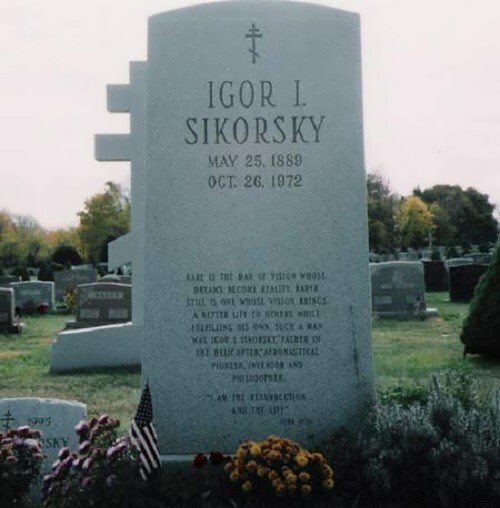 To tell the truth, in the 1950s, Sikorsky was one of the leading manufacturers in the field. What is more, in 1963, Sikorsky was awarded the highest scientific award of the American Society of Mechanical Engineers ASME Medal. 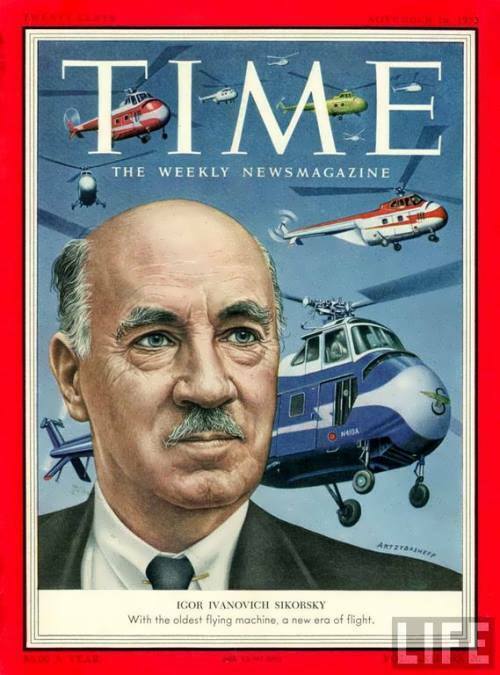 Igor Sikorsky died on October 26, 1972 in Easton, Connecticut, USA. The helicopter became a monument to a man with an unshakable faith in a great dream and an even greater faith in himself that had made it possible to achieve the goal.